In the Vietnam War, viewing the conflict through Cold War blinders, we never saw that most of Vietnam's "capitalists" were members of the hated Chinese minority. Every pro-free-market move we made helped turn the Vietnamese people against us. In Iraq we were stunningly dismissive of the hatred between that country's Sunnis and Shias. If we want to get our foreign policy right - so as to not be perpetually caught off guard and fighting unwinnable wars - the United States has to come to grips with political tribalism abroad. Just as Washington's foreign policy establishment has been blind to the power of tribal politics outside the country, so, too, have American political elites been oblivious to the group identities that matter most to ordinary Americans - and that are tearing the United States apart. As the stunning rise of Donald Trump laid bare, identity politics have seized both the American left and right in an especially dangerous, racially inflected way. In America today every group feels threatened: whites and blacks, Latinos and Asians, men and women, liberals and conservatives, and so on. There is a pervasive sense of collective persecution and discrimination. On the left, this has given rise to increasingly radical and exclusionary rhetoric of privilege and cultural appropriation. On the right, it has fueled a disturbing rise in xenophobia and white nationalism. I would like to believe Chua’s thesis, that the interest-group warfare we have right now is something — she calls it Tribalism — but when something is everything then maybe it’s nothing. Her fascinating and well-written descriptions of the various groups into which American democracy is dissolving make very good reading — must-reading, for anyone interested in The USA or The World, in this Age of Trump and Age of Asia. But whether it all boils down to Tribalism, or to anything else understandable or manageable, much less a characterization of how things-political will proceed going forward, well, I’m still a sceptic — still it seems like a dissolution, to me, simply a mess now, and Trump simply a bottom-feeder opportunist taking advantage. I hope I’m wrong and she’s right, as I’d love to believe that we somehow can bring order out of all the chaos she so elegantly describes. 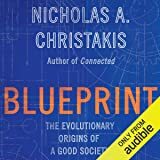 But I fear it’s just chaos, in fact — that her Tribalism is simply what’s left-over when systems fail, the primal soup from which we emerged in the 15th century to found our nation-states, and to which we seem to be returning now that our Terrible-20th century Long War and Pax Americana are gone. — and that Trump and various other similar disasters elsewhere may be our own “rough beast, its hour come round at last”. I’d still prefer liberal democracy, a 2-Party System, multilateral treaties and foreign policies, and universalized Human Rights, over the tribalized-world Chua appears to be recommending here. 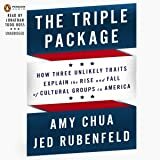 Another great book by Amy Chua that helps explain overlooked and misunderstood cultural forces across the world. Particularly fascinating, the chapters on Iraq and Afghanistan, while concise, cover an amazing amount of material. Adding a vital new dimension (tribalism) to the way Americans should think about our foreign policy in the Middle East, Chua is essential reading - along with George Packer and Steve Coll - for anyone who wants to be considered informed on the subject of America's most recent wars. Subtly provocative, Chua's analysis of domestic politics transcends political parties. Instead of taking sides, she makes clear-eyed critiques of the ways both parties have contributed to our current polarization and divisiveness. Members of BOTH parties will no doubt be challenged (and perhaps even angered!) 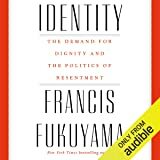 by different parts of the book, but republicans, democrats and independents alike would all do well to read the book and think deeply about Chua's argument. 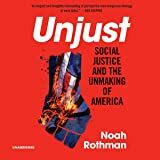 The book is filled with fascinating statistics and studies that will make you think differently about things like occupy wall street, the rise of Trump, immigration, and economic inequality. And though Political Tribes is truly harrowing at times, I definitely found it to be, ultimately, a hopeful book. 3.0 out of 5 starsIdentifies problems, but not solutions. It's half done. 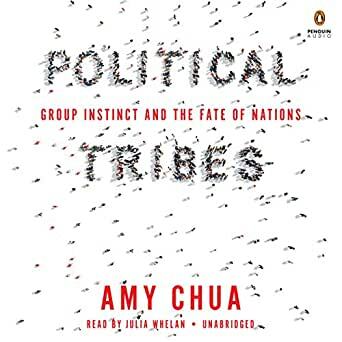 Political Tribes was an interesting spiritual follow-up to Chua's "World on Fire," which focused on the destabilizing effects of market-dominant minorities in developing countries. Overall, insightful, but it felt half baked. This is kind of a running theme with Chua's work. 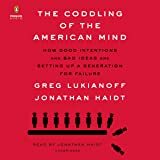 She excels at identifying problems that seem obvious in hindsight, but finishes on half-earned high notes without evaluating how societies can work through the problems she identifies. At her most uninspired, she tends to drift into cultural superiority arguments without empirical evidence to support her claims. That being said, worth a read, especially if you haven't read any of her ethnic conflict-related work before. 5.0 out of 5 starsIs There A Way Out? 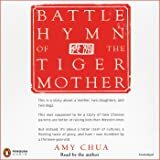 Amy Chua was a child in Han Chinese dispersion. She understands tribes. Her 2003 book, World on Fire, showed superb understanding. This book, politically current (it notes Bannon left White House), gives better insight than media coverage. She describes our stress, clearly shows its causes, and ends by asking "is there a way out?" Her answer, optimistic, is in a short Epilogue. More than a must read, it is also a must think. My thinking focuses on tribal attacks against peaceful interactions forming her optimism. Tribal attacks need to lose. That may need more from us than "wait and see", so readers need to think. In thinking, there is optimism. America's history showed early tribal conflict, with Hamilton's faction seeking British institutions, so bad that Jefferson left retirement to become our third President and block Hamilton's attacks made through Washington and Adams. We had other tribal conflicts. Some were handled well on the first try. Others needed several tries. Some yet unresolved need another try. America survives. It is too important for human freedom not to survive. We are still the only example of bottom-up partitioned Presidential democracy, where 13 States diverse in economy and religion agreed in 1787 to share defense, diplomacy, and treasury, then over many years added 37 more States diverse in economy and religion asking to join that sharing. States are peers, with Constitutions and governments. Americans can and do choose partitions. The world needs a partition example to survive. Every stressed country in Amy Chua's chapters needs partitions to keep tribes from excess contact fueling their fires. America needs new kinds of partitions keeping fire breathing attackers like bots from contact with people who interact without fire. Those people are Amy Chua's optimism. Her book points the way. We can't only wait and see.